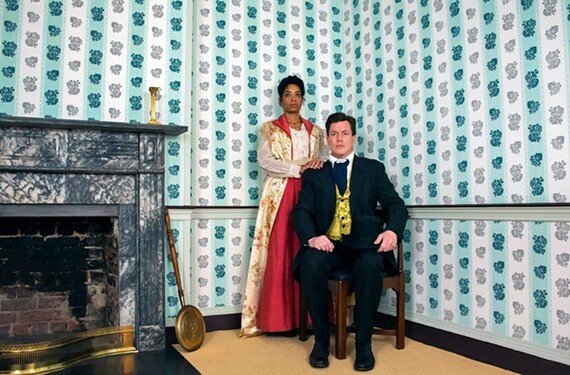 PREVIEW: TheatreLab presents an innovative new staging of the classic Henrik Ibsen drama, “A Dolls House” | Theater | Style Weekly - Richmond, VA local news, arts, and events. Katrinah Carol Lewis and Landon Nagel star in TheatreLab’s “A Doll’s House,” which runs from Dec. 6 to Dec. 22 at the Basement. Although it does take place around the holiday season, "A Doll's House" is not your typical holiday fare. "Nothing says 'Christmastime' quite like Ibsen," jokes director Josh Chenard. Henrik Ibsen's play, infamous for shocking audiences at its 1879 premiere, centers on the dissolution of a marriage due to rigid and constricting gender roles. The challenge, he says, was finding a way to make this heavy material palatable to a modern audience. Over the course of the play, the picture-perfect facade of Nora and Torvald Helmer's union begins to show cracks, and Chenard wants audiences to see each and every one of these from the inside out. "I've had this idea of looking closer, of being able to see in," he says. To that end, Chenard has worked with set designer Chris Raintree to develop an innovative new staging of the play. Costumes, props and furniture mark the production as a period piece, but the set will represent space with a blueprint design, allowing audiences to peer simultaneously into multiple rooms in the Helmer home. "Motivations so often happen offstage, people's secrets happen offstage," Chenard says. "I'm trying to bring them onstage, so that you can see all of these private moments." 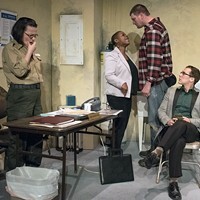 Katrinah Carol Lewis, who plays Nora, speaks to the significance of this onstage introspection, saying "Nora finds courage throughout the play to really investigate herself, to find out that she's not happy and then to make a decision for herself, and I think that is universal and really powerful." Landon Nagel, who plays Torvald, says that he sees the play as instructive, like a Greek tragedy. "You better pay attention, boys," he warns. "This could be you. Your wife could all of a sudden decide that's enough and be gone. That's what the Greek plays were all doing, too: Come watch what the gods will do if you fail. You better act right." It's an important message even in 2018, as we all continue to navigate issues of gender inequality in the public sphere. 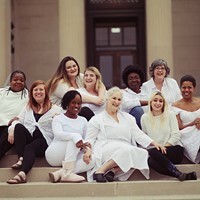 "I think everyone deserves a real discussion about how we feel, why we do what we do, how do we talk to each other, how do we protect each other," Chenard says, adding, "I hope by the end of the play that every woman will have seen themselves up there at some point and, I hope, so will every man." Nagel says he sees some hope for the future of gender relations in the text. 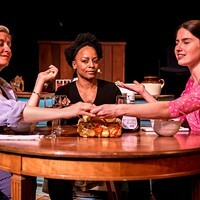 'The most beautiful line in the play is when Torvald says, "I understand now, I realize I've done things I never intended to do, and there is a gap between us, but can we not close it, Nora?" TheatreLab's "A Doll's House" runs from Dec. 6 to Dec. 22 at the Basement. Tickets cost $10-$30. 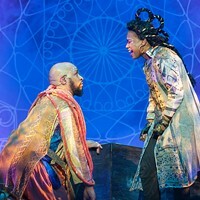 theatrelabrva.org.